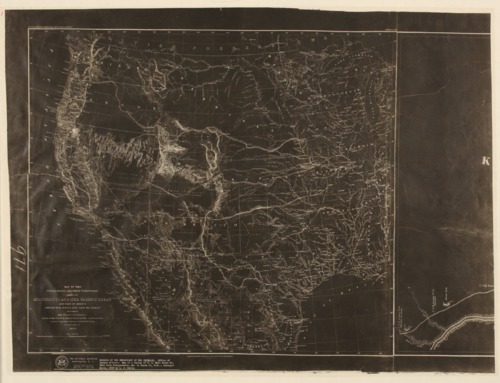 Four maps from the Office of Indian Affairs showing the Survey of United States Mail Route no. 8912 from Independence, Missouri, to Santa Fe, New Mexico, as far west as Pawnee Fork, K. T. The maps show the location of the mail stations on route No.8912. Survey of United States mail route no.8912 from Independence, MO. to Santa Fe, N.M.